Definition of Talking Sticks: What are Talking Sticks? Talking Sticks has been used for centuries by many Native American tribes as a means of an orderly, just and impartial hearing. Talking Sticks were most commonly used at major events such as tribal council meetings and Pow-Wow gatherings and important ceremonies but their use was also extended to storytelling circles and teaching children. Talking Sticks allow people to present and express their Sacred Point of View. The people responsible for holding any type council meetings were required to make a Talking Stick specifically for the event. Talking sticks were therefore made from carefully selected materials that had a special meaning and significance to the maker. The size of Talking sticks was usually taken from the measurement between the elbow to the tips of the fingers. 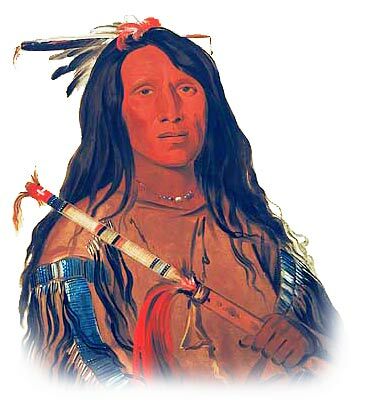 Talking Sticks were usually long, narrow, brightly colored and adorned with furs and or feathers. Talking Sticks are decorated with paint, carvings and occasionally wrapped in buckskin or other leather materials. The ornamentation, colors and painted decorations on talking sticks had special meanings, as did the wood they were made from and any fur or feathers that were used. The symbolism associated with the fur, skins, feathers or symbols of animals used in the decoration of talking sticks were also highly significant due to the belief that they brought the attributes, characteristics and medicine of the creatures to the event. The symbolism associated with the colors used to paint and decorate Talking Sticks was fundamental to the success of the event bring specific medicine to the proceedings. The colors were carefully chosen and the following chart provides details of the symbolism of the colors used to decorate and paint talking sticks. The symbolism associated with the skins, strands of hair or fur and the feathers used to embellish Talking Sticks were also significant. The animals were carefully chosen reflect as they are believed to represent the physical form of a spirit helper and guide. The following chart provides details of the symbolism of some of the animals used to adorn talking sticks and the characteristics and attributes it might give to the event. The type of feathers attached to Talking Sticks also hold significance and symbolism. An Eagle Feather represents truth and high ideals, the turkey feather is used to bring peaceful attitudes especially in disputes. The owl feather is deemed to be powerful and prevents deception from entering the Sacred Space of the Council. The symbolism associated with the types of wood used to make Talking Sticks was also important. The wood was carefully chosen for its qualities, attributes, strength and spirituality and taken from a tree that had special meaning to the person. Permission was sought from the tree spirit to make the talking stick. The following chart provides details of the symbolism of the trees used to make talking sticks. Willow: Wisdom, an open mind, strength of age and experience. The use of talking sticks allows everyone to express their sacred point of view.